Sometime after the Frosty Faustings IX tournament, Violent Kain captured a few money matches between himself, El Rosa and KCO Pedro battling it out in King of Fighters XIV! Very high level gameplay featured in these intense, long match sets! 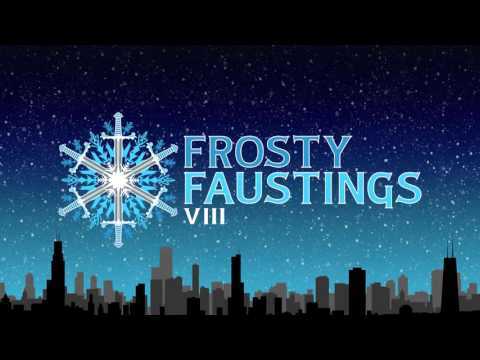 Frosty Faustings will be held in Elmhurst, Illinois, the final weekend of January! King of Fighters XIV will be held at this yearly tournament in the midwest! We will update if there are any videos from the tournament found if they were recorded. James Jr. has contributed a $300 pot bonus for the top 3 winners for Chicago’s Frosty Faustings IV KOFXIII tournament which will be held December 29th!